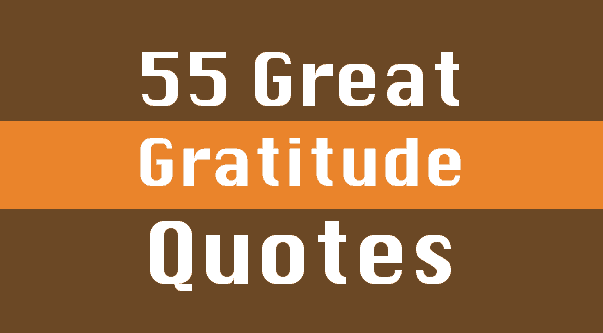 Our collection of gratitude quotes will having you counting your blessing and giving thanks. Gratitude is one of the most beautiful feelings, and it is important to express it in a meaningful way. People and things come and go in your lives, and you wouldn’t want to miss an opportunity to say thanks. You should be thankful to everyone and everything that’s made it a life to enjoy. Even the smallest of ‘thanks’ can be a great gesture for those who do things for your benefit. If you are looking for some beautiful inspiration for saying thanks to anyone around you or to life itself, these famous sayings will help strengthen your feelings of gratitude. Opening your eyes to more of the world around you can deeply enhance your gratitude practice. Check out our Happy Thanksgiving history, quotes and wishes. Gratitude unlocks the fullness of life. It turns what we have into enough, and more. It turns denial into acceptance, chaos to order, confusion to clarity – It can turn a meal into a feast, a house into a home, a stranger into a friend. Thou who hast given so much to me, give me one more thing… a grateful heart! Sometimes its the ones we owe the most that we thank the least. Though I am grateful for the blessings of wealth, it hasn’t changed who I am. My feet are still on the ground. I’m just wearing better shoes. Gratitude is the state of mind of thankfulness. As it is cultivated, we experience an increase in our sympathetic joy, our happiness at another’s happiness. Just as in the cultivation of compassion, we may feel the pain of others, so we may begin to feel their joy as well. And it doesn’t stop there.